Knowing what is potentially harmful to your pet and the signs to look for in case of toxic ingestion is just as important in pets as it is in humans. This week is Poison Prevention Week (March 19 – 25) and Goodnewsforpets is here to help! We put together some important signs to look for as well as the top 10 posion reportings of 2016 in dogs and cats as reported from the veterinarians at the Pet Posion Helpline. Always contact your veterinarian if you think your pet has ingested something that could be harmful. heavy drooling: Pets drool if they feel sick, or if they’ve licked something that’s irritated their mouth. incoordination or staggering: Lack of coordination is a serious sign that the central nervous system is affected. sudden weakness or lethargy: Many problems can cause lethargy, but if it comes on suddenly, it’s time to take notice. repeated vomiting: Many toxins irritate the stomach lining, leading pets to vomit. dark, tar-like feces: This can be a potential sign of blood being present somewhere in the digestive tract. Many medications can cause bowel ulceration, so blood is a significant finding. excessive thirst: A sudden increase in thirst is particularly noteworthy. collapse: Regardless of the cause, this is an emergency situation. excessive shaking or seizure: Amphetamine ingestion can lead to seizures. dilated eyes: Illegal drugs, pesticides and insecticides can stimulate the nervous system. racing heart rate: Chocolate and caffeine can overstimulate the cardiovascular system. nosebleeds or bleeding gums: Rodenticides affect clotting factors, resulting in bleeding. First, try to identify what your pet ate, and how much. If you spot any packaging, hold onto it so you can easily reference any toxic ingredients. Call your veterinarian, who will advise you on what to do, including whether your pet needs to be seen. If your vet is unavailable, call the Poison Control Hotline. 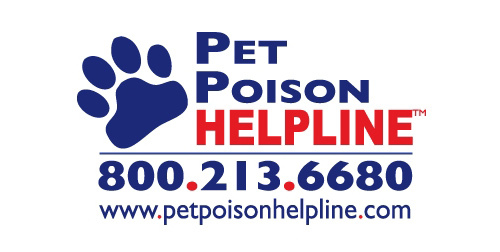 In time for Poison Prevention Week each year, veterinarians at Pet Poison Helpline review the prior year’s case records to identify specific toxins resulting in the most consults from pet owners and veterinarians. Some of the toxins are species specific such as lilies in cats and xylitol in dogs, while others, such as chocolate, affect multiple species. Two specific lists have been generated – one for cats and one for dogs – with the frequency of cases provided in descending order. It is our hope that the information shared in these lists will help veterinarians with their assessment of animal poisonings and provide others with information about truly dangerous items found in homes and other areas. Lilies: Plants in the Lilium species (Easter lily, Tiger lily, Asiatic lily, Oriental lily, others) once again head the list of toxins. Ingestion of just one or two leaves, flower pieces, pollen, or even water from the vase may cause kidney failure in cats. These plants often come into the house as a flowering plant, especially at Easer, or more often, as a flower or two in a mixed bouquet. Anyone who owns or cares for a cat is encouraged to learn to identify these plants and keep them far away from cats. Please visit the educational site, www.noliliesforkitties.com, for toxic lily photos, videos, and lists of pet-safe plants. Insecticides: The majority of these cases involve spot-on pyrethroid based insecticides that are purchased without a veterinary prescription in many of the larger stores. While these products are generally safe when used as directed, people often fail to read the instructions and use a product not specifically designed for a cat or the cat’s actual body weight. Tremors, seizures, and sometimes death occur when the products are used inappropriately and more rarely, signs occur in a few cats believed to be treated appropriately. Household Cleaners: Most of the cleaners (window cleaning solutions, dishwashing soaps, dilute bleach, etc.) used in households are fairly safe if diluted appropriately and used as directed. Concentrated products such as toilet bowel, oven, and drain cleaners are not safe and may cause chemical burns to the mouth and esophagus if cats lick or drink the product. It is best to avoid the use of phenol and pine oil containing products as cats are more sensitive to their effects. Human antidepressant medications: Prozac, Cymbalta, and Effexor topped the list of antidepressants this year. For some unknown reason, cats are attracted to these medications and ingestion can cause severe neurological and cardiac effects. Cat caregivers are advised to keep these medications in closed containers far away from curious animals. Veterinary and Human NSAIDS: These are grouped together but taken alone each category would occur on the 2016 top ten list. Veterinary specific NSAIDS, often prescribed for post op pain in cats, should be used only for the specific number of days and NSAIDS prescribed for dogs should not be used indiscriminately in cats. Cats are even more sensitive than dogs to human NSAIDS such as ibuprofen and naproxen, developing gastrointestinal upset, GI ulcers and perforation, as well as kidney failure following low doses. Rodenticides (rat and mouse poison): Curious kittens and cats are ever so good at finding these products in out of the way places (behind the refrigerator, under a cupboard, etc.). Emerging products, such as those containing bromethalin, are highly toxic to cats and may cause brain swelling and fatal paralysis, even if only small amounts were ingested. Prescription ADD/ADHD medications: While helpful and often necessary for children and adults to perform daily tasks, these products in cats cause tremors, hyperthermia, cardiac problems, seizures, and death. Chocolate: Mmm, mmm good for humans and bad, bad, bad for cats. Baker’s chocolate and dark chocolate, seemingly found everywhere now, are the most dangerous and even small amounts are toxic. Milk chocolate, in larger amounts, causes the same signs – vomiting, restlessness, tremors, seizures, and cardiac abnormalities. Acetaminophen (APAP): Best known as Tylenol, acetaminophen is much more toxic to cats than dogs and nearly any ingested amount is considered toxic. Common signs of toxicity include anorexia, vomiting, brownish discoloration of the gums and other mucous membranes, swelling of the face and paws, respiratory distress, shock, and death. Onions/Chives/Leeks/Shallots: Ingestion of plants or plant pieces in the Allium species results in oxidative damage to the red blood cells, making the red blood cells more likely to rupture and unable to carry oxygen. Gastrointestinal effects such as anorexia, drooling, and vomiting can also occur. Chocolate: Chocolate is often in the leading position on the top ten list and this year is no exception. Dogs seem to love the taste and rapidly eat any amount available. Dark chocolate, present in so many candy bars and treats, and baker’s dark chocolate are the most dangerous. Milk chocolate, in larger amounts, is also harmful and when ingested results in similar signs – vomiting, restlessness, tremors, seizures, and cardiac abnormalities. Rodenticides: Dogs, whether household or outdoor dogs, can develop poisoning when they play with and eat a rodenticide product. Depending on the specific rodenticides even small amounts, when eaten, may cause internal bleeding (anticoagulants such as brodifacoum and bromadiolone), brain swelling (bromethalin), or hypercalcemia and hyperphosphatemia with resultant organ damage (cholecalciferol). Xylitol: Xylitol, a natural sugar alcohol often used as a sugar substitute in chewing gums, breath mints, and baked goods, causes severe drop in blood glucose (hypoglycemia) and liver failure (hepatic necrosis) in dogs. New products on the market such as nasal sprays, OTC sleep aids, multivitamins, prescription sedatives, antacids, stool softeners, smoking cessation gums, and more may contain unexpectedly large amounts of xylitol. Dogs that ingest these products face a double risk—not only may poisoning result from the active ingredient but also from the xylitol. This can result in a variety of serious and unanticipated clinical signs which can readily complicate clinical treatment and prognosis. Insecticides: The majority of these cases involve spot-on pyrethroid-based insecticides that are purchased without veterinary guidance or designed to be used on the lawn or garden. While dog-specific products are generally safe when used as directed, people may fail to read the instructions and use a product designed for a larger dog on a small dog or use them in combination with other insecticides. Also, dogs may chew into a bag of outdoor use insecticide granules and ingest large amounts. 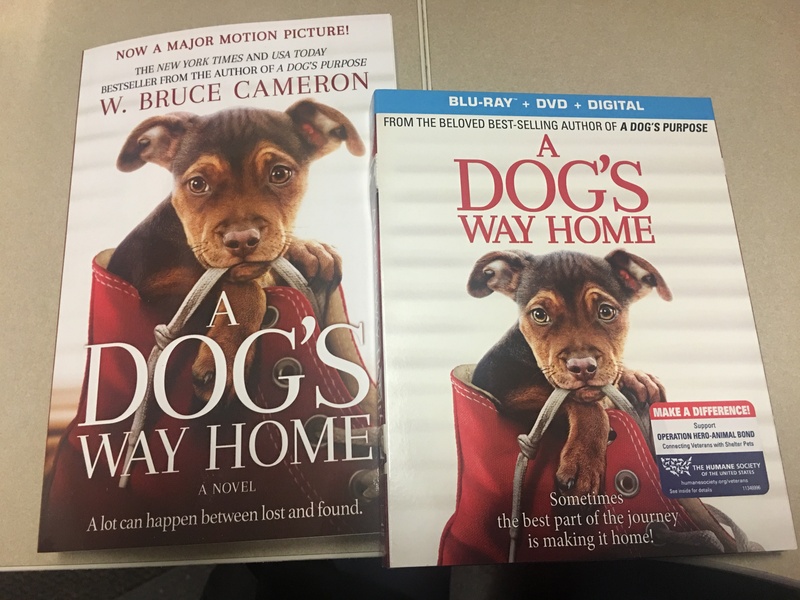 Ataxia, tremors, seizures, and sometimes death occur when the products are used inappropriately and rarely, signs occur in a few dogs believed to be treated appropriately. NSAIDs: Dogs are not able to metabolize or breakdown these products (ibuprofen, naproxen, etc.) as well as human beings and ingestions often result in gastrointestinal problems such as anorexia, vomiting, and ulcers and kidney failure. Grapes/Raisins/Currants/Sultanas: Grapes, raisins, sultanas, and even currants (some currants are actually small, black grapes) are toxic to dogs. Ingestion of even a small amount of grapes, raisins, currants, or sultanas can cause anorexia, vomiting, and severe acute kidney failure (several days after ingestion). All types of grape or raisin containing products, including grape juice, trail mix, breads, and breads, when eaten, result in similar signs and should never be fed to dogs. Household Cleaners: Dogs are especially good at licking up spills on floors or drinking from unattended buckets. Fortunately, most of the household cleaners, especially window cleaning solutions, dishwashing soaps, and dilute bleach, are fairly safe if diluted appropriately and used as directed. Concentrated products such as toilet bowel, oven, and drain cleaners are not safe and may cause chemical burns to the mouth and esophagus if dogs lick or drink the product. Cosmetics/Personal Care: This list of products fitting into this category is quite long and incudes colognes, deodorants, talcum powder, moisturizers, lipsticks, mascara, and many other items. For the most part these are safe items. Some of the colognes and perfumes may contain ethanol resulting in lethargy and depression, especially in smaller dogs drinking a larger amount. Foreign body obstruction is a distinct possibility if chewed up mascara wands, lipstick tubes, and other objects are swallowed and don’t pass through the gastrointestinal tract. Acetaminophen: Acetaminophen (Tylenol and others) alone or in combination with other over the counter cough and cold products have a narrow safety margin in dogs and should not be used unless prescribed by a veterinarian. Acetaminophen poisoning in dogs is associated with anorexia, vomiting, and liver damage. Some dogs develop methemoglobinemia and CNS signs such as lethargy and coma secondary to liver failure. Fertilizers: Most fertilizers contain varying amounts of nitrogen, phosphorus and potassium (potash) as indicated by the three numbers on the packaging (i.e., 30-10-10). They may also contain other minerals such as iron, copper, zinc, cobalt, boron, manganese and molybdenum, some of which may be toxic in large concentrations. Additionally, fertilizers may also contain herbicides, pesticides, and fungicides which increases the risk of poisoning. While small ingestions of fertilizer may only result in mild stomach upset, larger ingestions can result in severe poisoning from the iron, nitrogen and other chemicals. Large ingestions of meal-based fertilizers (i.e. bone or blood meal) may also form a concretion in the stomach resulting in a bowel obstruction or severe and painful inflammation of the pancreas (pancreatitis).